A group of popular Orlando chefs and hospitality leaders decided to Just DO Something…Anything! by joining together for a barbecue to benefit The LGBT Center of Central Florida (www.thecenterorlando.org). Over 500 people came out to enjoy great food, live music, and a butterfly release and remembrance ceremony in the courtyard. There was no ticket price to attend the event, which ran from 4-8pm at East End Market (eastendmkt.com). The benefit, Food and Wine Unite Orlando (foodandwineuniteorlando.myevent.com), was organized by chefs Kevin Fonzo of K Restaurant and Jamie McFadden of Cuisiniers Catered Cuisine & Events. After the Pulse Nightclub attack, chefs Kevin and Jamie wanted to give back to the “The Center,” which has helped so many victims’ families and survivors. 100% of the proceeds were donated to The LGBT Center of Central Florida for assistance in rebuilding resources. Participating Orlando-area restaurants included; Smiling Bison, Hawkers, Swine & Sons, The Rusty Spoon, Chef Tim Keating and Wild Ocean Market, Se7en Bites, The Courtesy Bar, and all of the merchants at East End Market. Wines were provided by Craft & Estate: a member of The Winebow Group, Tim’s Wine Market, Stacole Fine Wines, Winesellers, LTD., Augustan Wine Imports, and Breakthru Beverage Group. Sponsors for the event included K Restaurant, Cuisiniers Catering, East End Market, The Boathouse at Disney Springs, Quantum Leap Winery, Breakthru Beverage Group, Overeasy Events, Platinum Parking, Orlando Wedding & Party Rentals, and Linens By the Sea. When straight-A student Taylor Rosenthal isn’t in school or playing baseball, he’s busy doing something foreign to most 14-year-olds: He’s running his own successful business. Rosenthal is a freshman at Opelika High School in Alabama. Last year, while in eighth grade, he was assigned the task of coming up with a business idea for an entrepreneurship class. His pitch went on to win first place. The teen’s idea? A computerized vending machine that would inexpensively and conveniently dispense first-aid kits. Rosenthal told ABC News that the idea for the machine was sparked by his experience playing baseball. “No one could find a Band-Aid when someone got hurt,” he said. Since the birth of his idea, which he developed with the help of his parents, who both work in the medical profession, Rosenthal has been hurtling toward success. By the end of 2015, he’d developed a working prototype and was granted a patent. His company, RecMed, was also accepted into an incubation program at The Round House Startup Space in Opelika. According to Kyle Sandler, Rosenthal’s mentor at Round House, the teen was the youngest entrepreneur in the program. In January, Rosenthal won second place in the Techstars competition at the Consumer Electronics Show in Las Vegas. He will be featured this week at TechCrunch Disrupt, a startup conference in New York. He’s reportedly the youngest person ever to present at the event. To date, Rosenthal has earned a total of $100,000 in investments, CNN Money reported. He’s also turned down a $30 million offer from a “large national healthcare company” for his vending machine idea, though he couldn’t discuss the deal due to a nondisclosure agreement. “[The company] contacted us and said we feel the idea is worth this, would you like to sit down and talk? It’s his company. He declined because he wants to at least get it started and see how it goes,” Rosenthal’s father, Terry, told the Opelika-Auburn News. RecMed vending machines stock both prepackaged first-aid kits (which cost between $5.99 and $15.95) for ailments like sunburns, blisters, bee stings and cuts, and individual supplies like Band-Aids, rubber gloves and gauze pads, ranging in price from $6 to $20. The machines, which are slated to be deployed in the fall, are best suited for “high-traffic areas for kids” like amusement parks, beaches and stadiums, Rosenthal told CNN Money. He’s already received an order for 100 machines from Six Flags. This year in Central Florida, an estimated 400 teenagers in foster care will turn 18, while the state ends its assistance. Without help and guidance many of these kids will face a lifetime of dependency; welfare, jail, and homelessness. The Faine House, in conjunction with Children’s Home Society of Florida, exists to combat these problems. Our story above explains why they do what they do, how they do it, and how everyone benefits. 2,500 people from over 30 countries, along with representatives from the Sudden Cardiac Arrest Foundation and more than 50 cardiac arrest survivors, marched through the streets of downtown San Diego last week to help raise awareness and educate communities on the importance of CPR and AED devices. The march was the highlight of the week long ECCU 2015 Conference. Which has been, for over three decades, THE place to go for learning, inspiration and networking with resuscitation professionals, instructors, practitioners and researchers. The goal for the first-ever ‘CPR Saves Lives March‘ was to, “shed light on the hundreds of thousands of Sudden Cardiac Arrest victims who could survive each year if communities provided more CPR training, better care and a greater number of AEDs,” said Mary Newman, president of the Sudden Cardiac Arrest Foundation. Citizen CPR Foundation, holds its International ECCU conference every two years. They are comprised of four primary co-sponsors: the American Heart Association, the American Red Cross and the Heart and Stroke Foundation of Canada. Together, these organizations have been strengthening the chain of survival by educating lay rescuers and experienced medical professionals on the current CPR guidelines since 1987. One of the most talked about changes in resuscitation guidelines at ECCU 2015, was Compression Only CPR. According to a report from the Institute of Medicine, every year, approximately 300,000 men, women and children in the United States die from Sudden Cardiac Arrest. Almost 80 percent of those occur at home and many are witnessed by a family member. Less than eight percent of victims survive. “By learning to recognize SCA, calling 9-1-1 and starting CPR, citizens can save those who would otherwise die without immediate help,” said Vinay M. Nadkarni, M.D., president-elect of Citizen CPR Foundation and Endowed Chair of Pediatric Critical Care Medicine at the University of Pennsylvania School of Medicine. Joining the march was one of the most influential PhD’s in medical research history. In 1958, Dr.Guy Knickerbocker (pictured at left with his wife and a CPR supporter) mentioned to two of his research team members, an observation he had while conducting defibrillation experiments. Dr. Knickerbocker had detected a brief, temporary rise in blood pressure when the heavy copper electrodes they were using were applied to the chest wall of a dog whose heart had stopped beating. Dr. Jude, one of his team members, immediately recognized the significance. It was external cardiac massage – the birth of CPR. To date, more than 2 million lives have been saved by CPR. BuddyCPR was inspired by Rick and Jennifer Chap’s story of survival. Their beloved cat “Buddy” alerted Jennifer that something was terribly wrong—she found Rick in sudden cardiac arrest. Buddy’s alert allowed her to activate 911 and perform CPR on Rick until EMS arrived and used their AED to restore life. BuddyCPR honors Buddy’s memory and heroic actions that will continue to save more lives. Rick and Jennifer are CPR advocates and AHA certified CPR instructors. Their wish is to pay forward Rick’s gift of life by inspiring others to learn about SCA, CPR & AEDs with the goal of empowering the bystander to take action to save a life. The Sudden Cardiac Arrest Foundation is a national community benefit 501(c)(3) organization dedicated to raising awareness about sudden cardiac arrest and saving lives. Programs include educational campaigns for secondary schools and colleges and the Sudden Cardiac Arrest Network, an online community that provides peer support and opportunities for survivors and family members to participate in awareness, advocacy, and research initiatives. ECCU showcases the latest science, concepts, ideas and strategies to improve clinical performance, teaching methodology and community response to sudden cardiac arrest. ECCU is the only conference that brings together all members of the Cardiac Chain of Survival – including physicians, nurses, CPR and ECC educators, EMS providers, ECC advocates and survivors. SCA – Sudden Cardiac Arrest – a medical condition that occurs when the heart suddenly and unexpectedly stops beating. As a result, blood is no longer pumping through the body. The victim suddenly loses consciousness, is not breathing, is non responsive and appears lifeless. Some victims also experience abnormal gasping and seizure-like activity. Death occurs within minutes without immediate CPR and use of an AED. SCA is different from a heart attack. While the heart attack victim is awake and the heart is beating, the Sudden Cardiac Arrest victim is not awake and the heart is not beating. JDSA (Just DO Something…Anything!) and Strategic Artifex Research, Inc. was proud to have helped StrataVerve conduct a baseline research study on the awareness of Sudden Cardiac Arrest, CPR, and AED’s. The results, of which, were presented at the ECCU 2015 Conference. JDSA recently partnered with the Florida Department of Children and Families, coordinating a project designed to create awareness and educate Central Florida teens about the dangers of Human Trafficking. Just DO Something…Anything! funded and assisted Appleton Creative in the design of the campaign: a series of 4 colorfully designed posters, each depicting the dangers of modern day slavery, and distributed to every middle and high school in Central Florida. Created with the youth audience in mind, the posters feature strong graphics, bold text and eye-catching call-to-actions. The campaign will effectively help make human trafficking top-of-mind and remind students of their value and where to go for help. Orange County Public Schools (OCPS) is the 11th largest school district in the United States, where the posters are now being distributed to over 100 schools, reaching nearly 200,000 students in Orange, Osceola and Seminole County. Last week, Crimeline displayed the posters at a joint forum at Valencia College Criminal Justice Institute. While Lake and Brevard County schools were expressing interest in displaying the posters, news of our project reached the Governor’s office in Tallahassee, where the Florida Department of Education has asked to initiate an extension of our campaign: organizing distribution of the posters to all public schools statewide – reaching more than 2 million students in over 4,200 schools. JDSA was honored to have worked alongside the Greater Orlando Human Trafficking Task Force, their School Awareness Committee and Appleton Creative; an award-winning, full-service advertising agency with long-term ties to supporting community giving and bringing awareness to local causes. Throughout the years, Appleton has worked with many nonprofits such as Kids Beating Cancer, Juvenile Diabetes Research Foundation and Pet Alliance of Greater Orlando, shining light on their issues through public service campaigns and advertising. In a similar fashion, Appleton works closely with the Zebra Coalition, a network of organizations that provides services to LGBT+ ages 13 – 24, creating an annual anti-bullying poster series that gets placed in over 100 Orange County public schools. Appleton is also responsible for Zebra’s branding, website, advertising and video work. Maggie Doyne, a New Jersey woman who used her babysitting savings to change the lives of hundreds of Nepalese women and children, was named CNN’s 2015 Hero of the Year on Tuesday at a star-studded awards ceremony in New York. A decade ago Doyne’s backpacking trip to Nepal transformed into a long-term commitment. Spending $5,000 in savings from her babysitting days, Doyne bought land and worked with the community to build a school, a women’s center and the Kopila Valley Children’s Home. Doyne’s BlinkNow Foundation supports these efforts. “If you had told me when I turned 18 that I was going to be the mom of 50 kids, I would have told you that you were totally crazy. And I am. And to my kids, I love you so much. Don’t ever forget how much I love you,” Doyne said Tuesday. “And to the country of Nepal, thank you so much for loving me and accepting me as a daughter welcoming me into your country. Doyne was chosen from this year’s Top 10 Heroes in an online vote by CNN’s audience. She’ll receive $100,000 for BlinkNow in addition to $10,000 that each Hero received for being named to the Top 10. Show presenters included Neil Patrick Harris, Taylor Schilling, Common, Kelly Ripa, Kathy Griffin, Sharon Stone, Chris Noth and Zachary Quinto. The event’s global premiere is set for December 6 on CNN. Prince Harry hugs Afghanistan veteran Kirstie Ennis, 24, as he welcomes six ex-servicemen and women who have travelled the length and breadth of Britain over 72 days since starting the arduous journey in Moray, Scotland, in August, as part of Walking With The Wounded (WWTW) Walk of Britain, as they reach the finishing line at Buckingham Palace in central London. 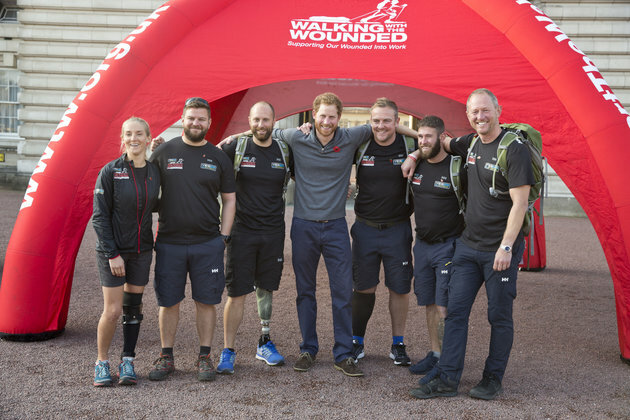 Ennis, along with four former British soldiers and another U.S. Marine, walked 1000 miles in 72 days to raise money and awareness for Walking With the Wounded, which helps injured military members regain independence. Ending at Buckingham Palace, an emotional Prince Harry awaited. Ennis distributed 24 military dog tags to people she met during her journey, giving her final token to the prince. (left to right) Kirsty Ennis, Andrew Bement, Matt Fisher, Prince Harry, Alec Robotham, Scott Ransley and Stewart Hill. Prince Harry with Afghanistan veteran Kirstie Ennis, 24, and her final dog tag. Would you take a cruise to help people in need? Industry giant Carnival Corp. is betting on it. The parent company of Carnival, Princess and Holland America today announced plans for a new cruise brand to debut in 2016 that will offer week-long “social impact” vacations to developing countries such as the Dominican Republic. To be called fathom, the line will launch with a single ship, the 710-passenger Adonia. The vessel currently sails for Carnival’s UK-base P&O Cruises brand. Based in Miami, the Adonia initially will sail every other week to the Dominican Republic, where passengers will have a choice of volunteer activities such as teaching English in schools, helping to cultivate cacao plants and building water filtration systems. Departing Miami on Sundays, the ship will arrive in the Dominican Republic on Tuesdays and passengers will have three days on the ground to participate in volunteer activities before the vessel sets sail back to Miami. The time in transit to the Dominican Republic will feature such activities as an orientation to the country, conversational Spanish lessons, impact activity training and creative workshops. Carnival Corp. notes the average household income in the Dominican Republic is just $6,000 per year, and more than two million Dominicans do not have access to piped water. Additional itineraries will be announced at a later date. As described by Carnival Corp., the cruises will have similarities to the “volunteer vacations” operated by such non-profit groups as GlobeAware as well as the social impact-focused trips operated by church and school groups. But the executive Carnival has hired to develop and run the brand, Tara Russell, tells USA TODAY what fathom will do is on a scale that never has been seen before. While each passenger on sailings to the Dominican Republic only will spend a few days in the country, the cumulative effect of more than 700 passengers arriving each week — week after week — will have an unprecedented, transformative impact, she says. In the first year alone, assuming bi-weekly arrivals, fathom will deposit more than 18,000 travelers in the Dominican Republic who will collectively spend more than 55,000 days volunteering. 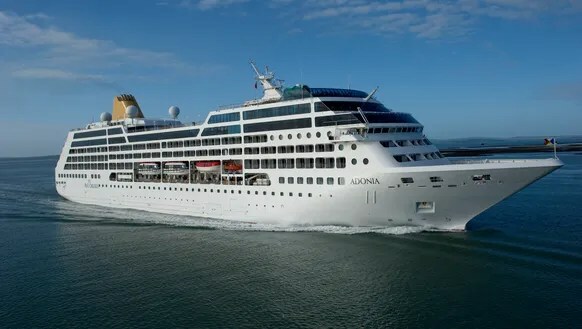 When visiting the Dominican Republic, Adonia will dock at Amber Cove, a new port in the northern Puerto Plata region of the country that Carnival Corp. is developing for use by several of its brands. It’s scheduled to open later this year. Russell says the volunteer projects in which passengers will take part all will be within about a two-hour drive of the port. Russell says it’s very important to the company that it effect “holistic, transformative impact” on the region — and on the passengers who sign on for the trips. “It’s saying, ‘how is it that our travelers can engage in a meaningful way that makes a lasting sustainable impact,” she says. 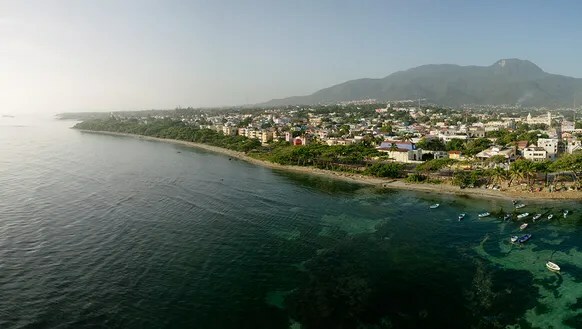 Russell says fathom chose the Puerto Plata region of the Dominican Republic as its first destination because of its innate beauty, genuine needs, infrastructure to support social initiatives and enthusiasm for the fathom concept. Its proximity to Miami and the availability of the new Amber Cove pier also were factors. 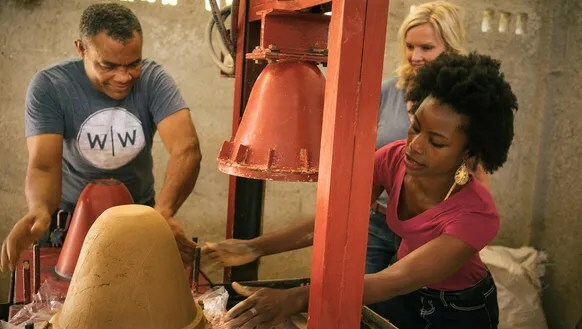 Fathom is partnering with two Dominican Republic organizations that have long-established programs to help locals: Entrena and the Instituto Dominicano de Desarrollo Integral, Inc.
Carnival Corp. says market research shows there is a sizable and growing segment of travelers who would be interested in a product like fathom — as many as one million North Americans. In addition, the company believes the brand will attract a significant number of travelers who have never before cruised. The company expects passengers of all ages and from all walks of life, with a large portion in the 20- to 60-year-old range. To fill its one ship, the line will need to draw about 37,000 people a year. Unlike many volunteer vacation outfits, fathom will operate as a for-profit enterprise — a fact that Russell says is important to its success. If it can be profitable, it will justify the investment that will result in a lasting impact on the communities it serves, she suggests. A portion of ticket revenue will go directly to fathom’s partner organizations to cover on-the-ground costs and their overall mission, the company says. Russell says the Adonia’s return on invested capital is expected to be better operating under the fathom brand than as part of P&O Cruises. Fares for the seven-night trips to the Dominican Republic will start at $1,540 per person, based on double occupancy and including taxes, port fees, all meals on the ship and three on-shore social impact activities. Additional shore excursions will be extra. Cabins will be available for booking starting this month at fathom.org or by calling 855-932-8466. Stories of Emerging Visions – Thanks to Lighthouse Central Florida! Just DO Something…Anything! met three amazing individuals who’s lives were transformed through Lighthouse Central Florida. This video, which played at Lighthouse’s 2015 Emerging Vision Luncheon, highlights those three success stories…illustrating how donors continue to empower and impact the lives of those living with vision loss in Central Florida. Suntrust Bank donated $10,000, while nearly 200 attended the event. Thanks to everyone who helped celebrate the important solutions being fulfilled for Central Florida’s blind and visually impaired infants, children, teens and adults. Hundreds Take Action To Make A Difference For Thousands! Families picking out school supplies. Last week Just DO Something…Anything!, along with Century 21, helped sponsor it’s first Take Action! event at Barnett Park in Orlando, Florida. Nearly 400 residents showed up along with dozens of volunteers, who helped distribute over 3,000 back-to-school supplies: pens, backpacks, clothes, pencils, paper, and other items. 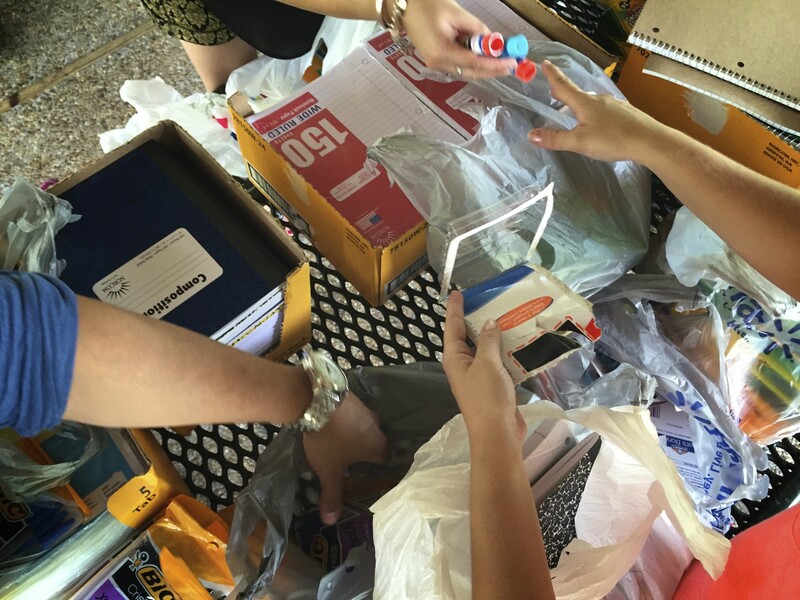 But the event wasn’t just about helping families get materials they need to start the school year. Take Action! was about doing just that … taking action against social injustice. Finding just the right size. JDSA, along with some of their Central Florida nonprofit partners: Harbor House, A Gift For Teaching, and Florida Abolitionist, spent the day talking with residents about the importance of what they do and how they do it! Also on hand was the Orlando Rowing Club, Orlando Dragon Boat Club, and Dueling Dragons boat team. Dragon’s “Cops and Kids” program is a unique partnership teaming Orlando police officers with at-risk teens, who compete in boat races across the country. Their story was recently featured on The Today Show. Orlando Rowing Club President, Johnny Hood and Chairperson, Chris Luciano brought a “skull boat” and an “Erg,” or indoor rowing machine for residents to try out. 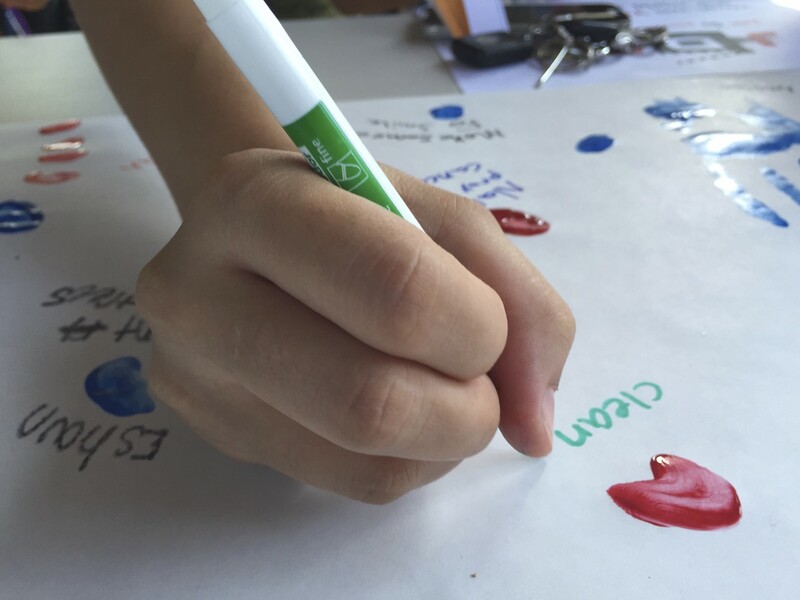 Making a difference with hand prints & finger paint. 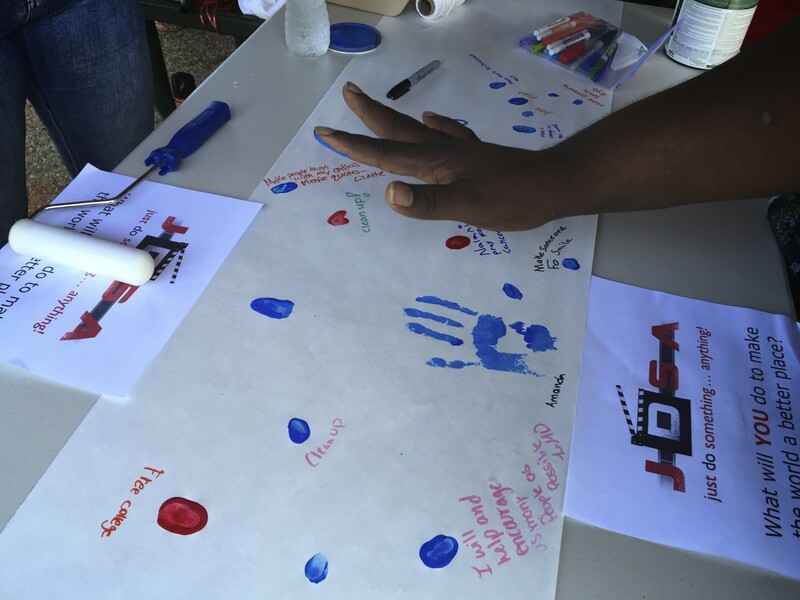 Before the kids picked up their items they were asked to “make their mark” with paint! “Taking Action!” by writing out – next to their imprint – exactly, what they’re going to do to help make the world a better place. Clean the World, an Orlando nonprofit, cleaned off the paint with donated soap. Clean the World and the Global Soap project have distributed over 25 million bars of soap to 99 countries! 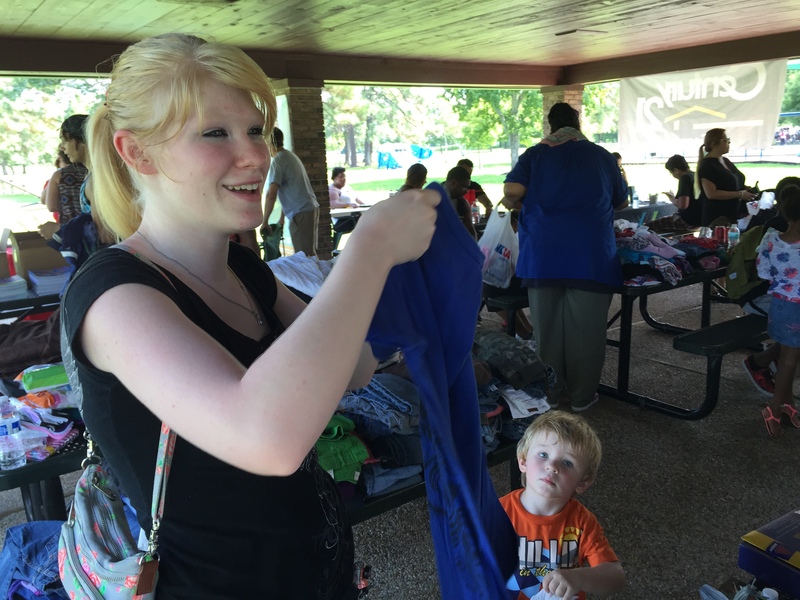 “We gave away about 75% of all the donated items. What’s left is going to Haiti for those in need … thanks to Divine Way Ministries.” says Take Action! event coordinator, Anastacha Constant. Not only did Divine Way help with donated items, they also took care of all the food and drinks. Affordable Document Service lent their support to those in need. 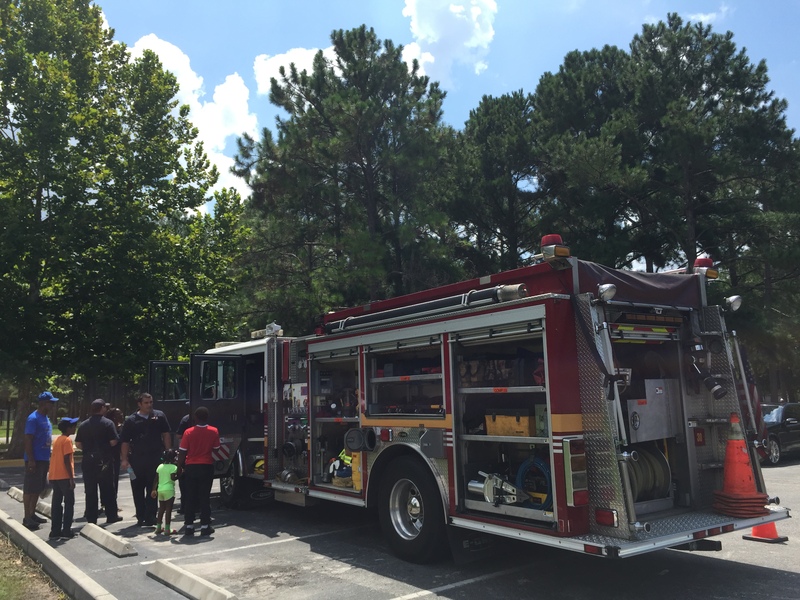 LA Fitness talked with residents about the importance of exercise and nutrition. And Orange County Fire/Rescue brought a firetruck. 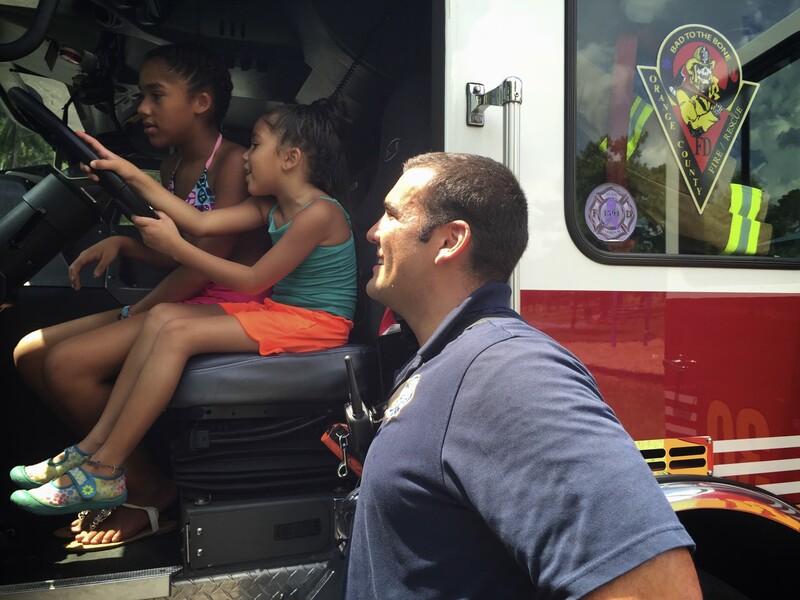 Where kids (and a few adults) climbed inside and learned about fire safety and injury prevention. Kids get an inside look! Taking Action! with pens, markers, and paint!